Do you wonder why people crave chicken noodle soup when they’re sick, how about fried chicken like mom served, and the cookies grandma made? It’s because those comfort foods remind people of happier days by evoking positive memories. Comfort food makes us feel happy psychologically as opposed to physiologically. When we eat comfort food, we tap into good memories, conjuring up birthdays by eating chocolate cake or our mom's Sunday dinners by making her lasagna. Because they're linked to memories, comfort foods vary for each person. 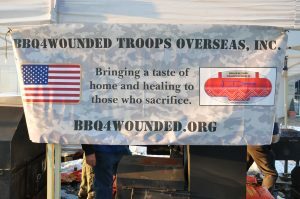 Since 51% of our military is from or has lived in the south and an additional 30% has eaten BBQ. 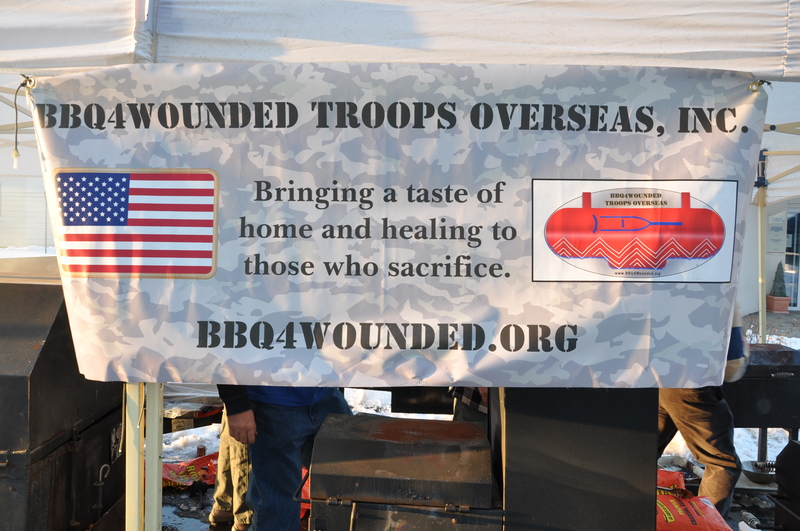 This is why BBQ4Wounded Troops Overseas, Inc exists. We have the privilege to help unlock these memories and expectantly hasten the recovery of our wounded troops. Kind words from the brave men and women that we served. I had the wonderful experience to meet Mr Pat Momany at the Landstuhl Regional Medical Center in December 2009. He is a great American. He has the heart of a true patriot who has volunteered to use his talents in a unique and special way. I know first hand the mouth watering pleasure that comes from eating his barbecue. 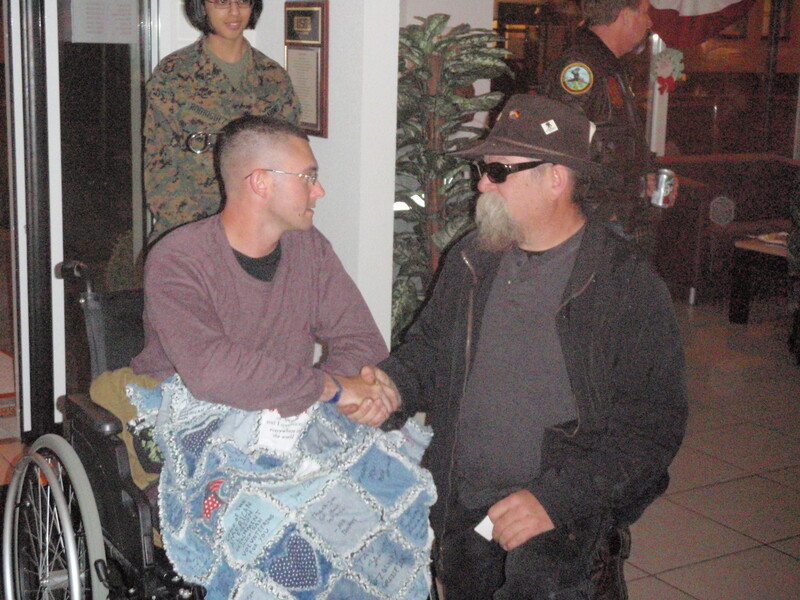 I also have seen the healing affect his effort has on our Wounded Warriors. The particular experience which Pat brings to these outstanding young fighting Americans is a "taste of home" and an opportunity to relax and begin to deal with their injuries more effectively. Mr Momany has a warm and caring heart. 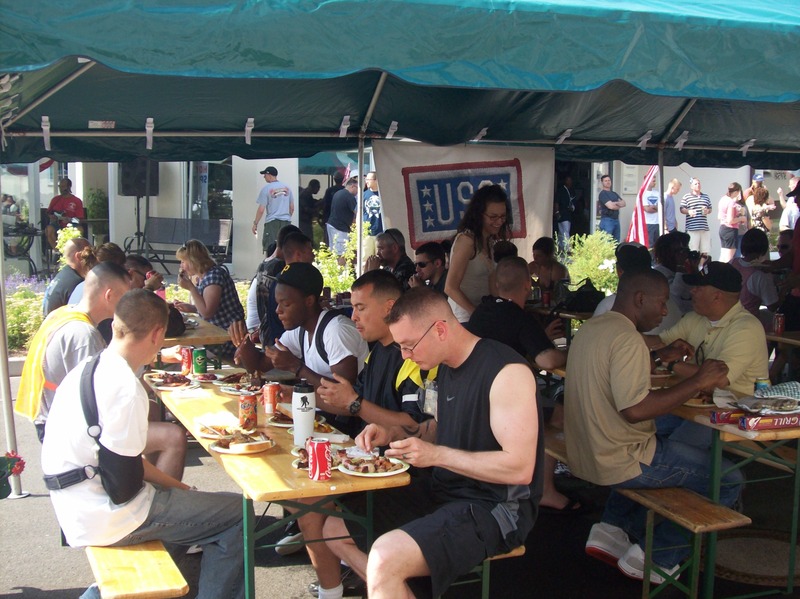 He brings this warmth and cooking skills to Landstuhl, Germany at a critical phase in the care of our young men and women who proudly wear their country's military uniform. Pat is very humble about the service he performs here. This clearly comes across this way to the many patients and staff he comes in contact with on each visit. He wants no glory. A true gentleman and someone we are all very proud to know. 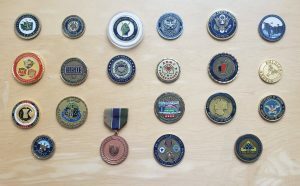 His sacrifice, while different than that of our warriors, is still a sacrifice of his time and money. His selfless efforts are noteworthy and deserving of your organization's recognition. 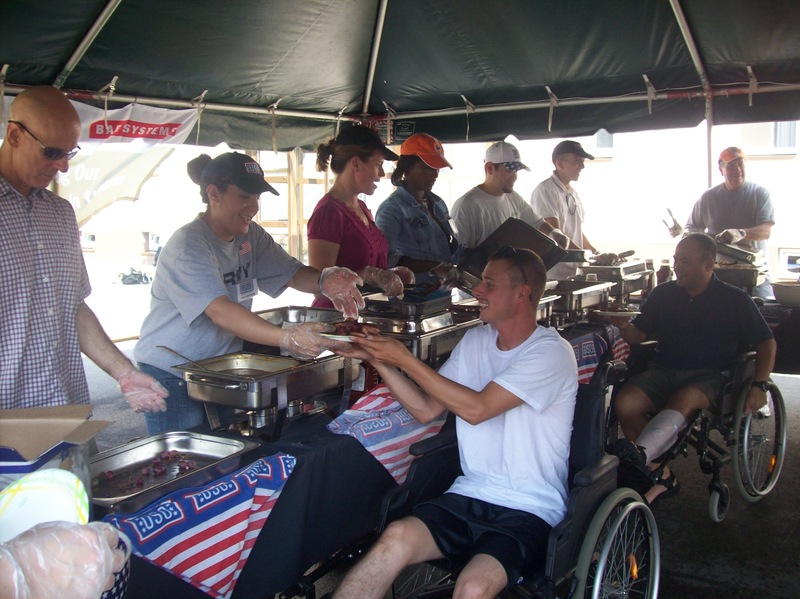 volumes of your care and concern for our deployed and mobilized service members. The fact that you made it here by your own accord and took the great amounts of time, energy and cost to show your appreciation are solid actions that make the difference between a good week and a great week. 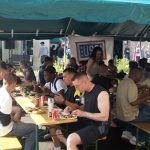 The sheer amount of positive energy that you generated around the MTD and the USO will multiply thousand folds not only terms of physical healing but positive morale and esprit de corps. emulated, and was so truly appreciated. Looking forward to seeing you again hopefully for the 4th of July 2010! Poulsbo - At 55 years old, Patrick Momany is the first to admit he isn’t the ideal picture of health. Wearing a brimmed hat, dark sunglasses and a long beard, the man sits in a rocking chair, eyeing two visitors as they approach. “There’s a rising fee,” he growls. Lunch on Saturday was a no-brainer. We headed for the wonderfully incongruous TaTu BBQ (11133 NE Maine Ave., at Hwy. 104), a Texas-style barbecue shack just beyond the main commercial strip. Owner Pat Momany, a colorful Missouri native, smokes his meat behind the building in a large home-built oven, layering different types of fruitwood for a complex, rich taste. He also makes and sells rubs and Carolina-style sauces rarely seen in the Northwest, including a mayonnaise-based concoction and a tangy vinegar-based mustard sauce. We parked ourselves at one of two outdoor picnics tables and tried the pork ($6.99) and brisket ($8.50) sandwiches, each of them a heaping half-pound pile of meat served on a sesame bun with coleslaw and a pickle.